Posted on 14, October 2016 by EuropaWire PR Editors | This entry was posted in Art & Culture, Education, Serbia, Society, United Kingdom and tagged African-American actor, Ira Aldridge, Laura McMillan, Professor Tony Howard, The Belgrade Theatre, University of Warwick. Bookmark the permalink. Coventry, UK, 14-Oct-2016 — /EuropaWire/ — The Belgrade Theatre has teamed up with the University of Warwick’s Multicultural Shakespeare Project and The Coventry City of Culture Bid 2021 to present an event honouring the remarkable achievements of the African-American actor Ira Aldridge this November. He became Manager of the Coventry Theatre in 1828, at a time when slavery was still widespread across Britain’s colonies and the USA. Against Prejudice – Ira Aldridge in Coventry 1828, will see an evening performance in the Belgrade’s B2 auditorium by a professional and community cast, followed by a night-time procession through the streets of Coventry. During this free evening event, the company will perform extracts from The Slaveby Thomas Morton, one of several plays that Ira Aldridge programmed at the Coventry Theatre during his brief time as Manager there. The procession will lead to the site of the long-lost playhouse where he and the local community made history, with scenes, speeches and songs from Aldridge’s Coventry season. There will also be talks from Professor Tony Howard, who has been a leading researcher on Ira Aldridge at the University of Warwick. 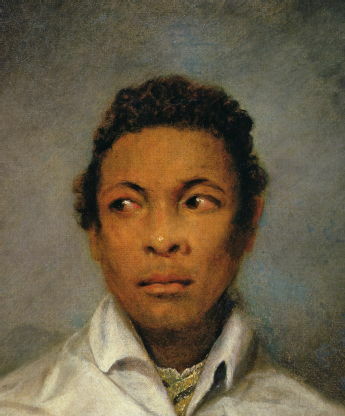 Ira Aldridge is also thought to be the first black actor to have played Othello in this country, in October 1825. The event is also part of Being Human, a festival of the Humanities and a national forum for public engagement with humanities research, led by the School of Advanced Study and University of London, in partnership with the Arts & Humanities Research Council. This year’s festival, themed around hope and fear, will feature a programme of debates, talks and activities including Against Prejudice – Ira Aldridge in Coventry 1828.